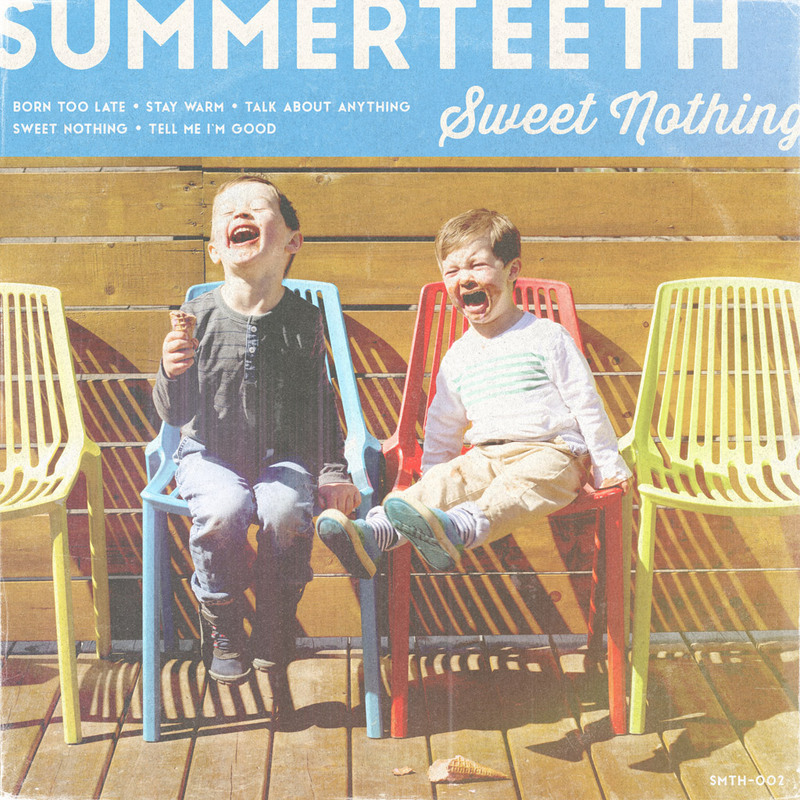 Os Summerteeth são uma banda de pop punk oriunda de Toronto, no Canadá, e editaram no passado dia 22 de Junho o seu segundo EP “Sweet Nothing“. O sucessor de “Hope This Helps” é nasceu de um renovado senso de optimismo e permitiu à banda dar um passo atrás, de forma a perceber o tipo de música que querem fazer. A few of my childhood friends were going through major life changes and progressions and I was starting to see that our lives weren’t on the same trajectory anymore. This song is about that. We injected enough energy into the music that we felt it was a great opening track for both the EP and live set. I had the chorus of this song kicking around in my head for a few months before I mustered the energy to finish all the other parts. It seems upbeat and positive at first, but the lyrics are about people’s tendencies to jump from relationship to relationship in an effort to “stay warm” rather than experience being single or alone. We had this song finished and ready to go on the last EP (Hope This Helps) before we decided that it was too “punk” to fit in with the other songs. After a few re-writes, we ended up with what you’re hearing on Sweet Nothing. The song is about my estranged father passing away without ever having the chance at reconciliation. This was the last song written for the EP when we were trying to put together a song with a bit of a different flavour. We came out with this quick little 3/4 track – which is the first one we’ve written as a band in a time signature besides 4/4. The lyrics are about trying to make things work out with someone who is just ‘wrong’ from the start… and we thought the term “Sweet Nothing” was cool enough to make it the EP title as well. Probably the only positive song on the record, Tell Me I’m Good is about the beginning stages of a relationship or friendship when you’ve yet to announce it to the world. Everything just seems more simple and easy when there are no outside factors involved. The bridge of this song is great and probably one of my favourite melodies I’ve ever written.